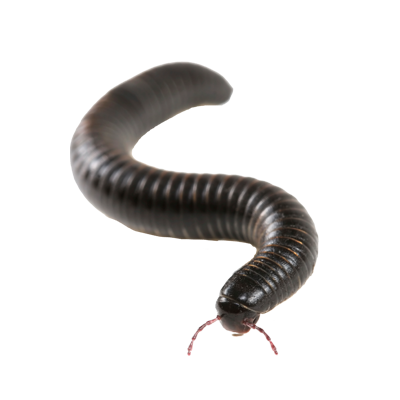 Millipedes are closely related to centipedes and sowbugs. They are dark brown and have many legs. They have a cylindrical body and can be 1 to 1.5 inches long. They can also curl into a spiral coil shape. They are often found in the yard in damp areas. Although their name suggests they have 1,000 legs, they have more around 700.